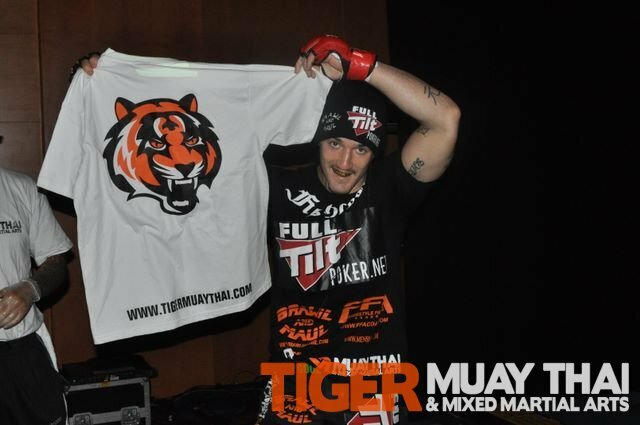 Joe Ray is a multiple time training guest of Tiger Muay Thai and MMA training camp, Phuket, Thailand and represented TMT two-times this year at the ESPN Martial Combat MMA promotion in Singapore. Defeating Evolve Singapore MMA Instructor Zoro Moreria (BJJ Black Belt) with an impressive 14 second KO, he was showcased on ESPN “Sportscenter plays of the day”. Following that performance Joe Ray added another KO to his 5-0 professional MMA record when he defeated UFC vet Chad Reiner to capture the Martial Combat Superfight Championship. Look for Joe Ray to return in April of 2011.